So I guess we didn’t get enough roasted red pepper with the humus a couple weeks ago, we had to add it pasta too! I started taking pictures of this process the very first time I made this recipe. I just knew it would have to be delicious. 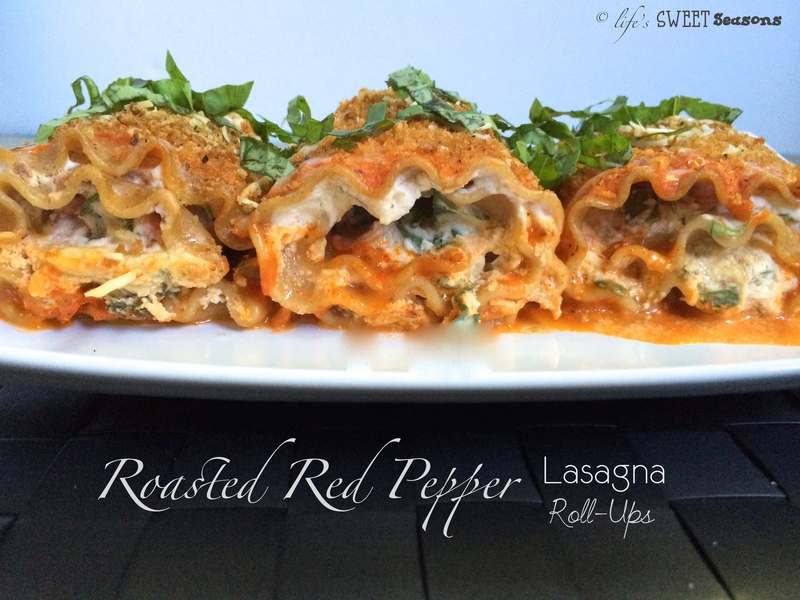 I wanted this to be different enough from our “normal” lasagna, healthy-ish, flavorful and hopefully make enough so that my family could eat it for leftovers. That way, all the work I put in the first night would pay off the second night when I wouldn’t have to do anything except reheat pasta and make some garlic bread. Mmmmm…let me tell you, this did not disappoint. At first, Matthew refused to even try a bite because I had promised lasagna and “This doesn’t smell like lasagna,” but once we convinced him to try a bite he shouted, “I like it, Mom!” Mike’s reaction was, “Wow, this is good babe” and Lindsay said, “Oh, Mom I love dis pasta!” (squeal) So the Plunkett critics agree, this dish is a winner! Heat a skillet over medium heat and drizzle in olive oil. Add the onions and cook until just translucent (about three minutes), then add garlic and cook for an additional minute. Add roasted red pepper and tomatoes. Cook for another couple minutes until sauce is warmed through. Blend all ingredients in a blender and return to skillet. Add 1 cup of milk to sauce, stir, and turn down to low while you make filling. By now it should be time to add pasta to your boiling water. 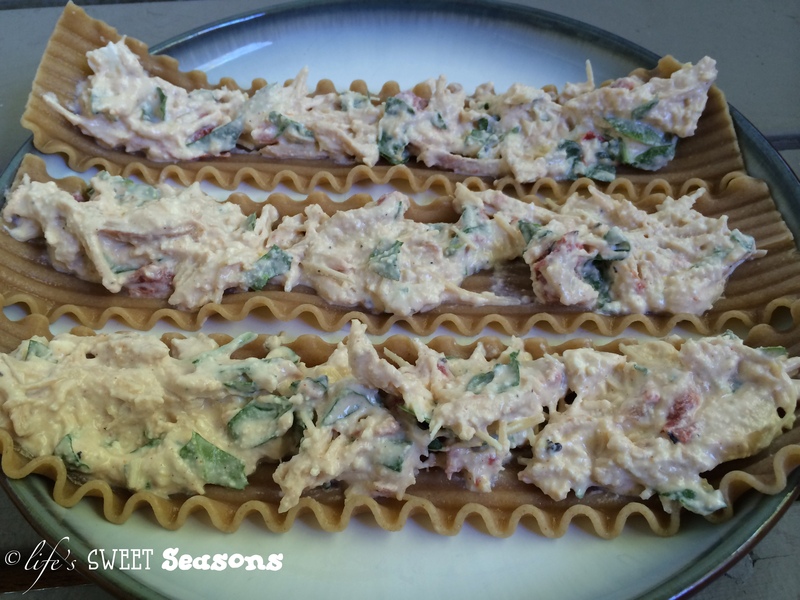 Cook lasagna noodles 10 minutes. Shred chicken breast. Sprinkle 1/2 teaspoon granulated garlic and 1/2 teaspoon smoked paprika over shredded chicken and mix well with hands to coat all chicken. 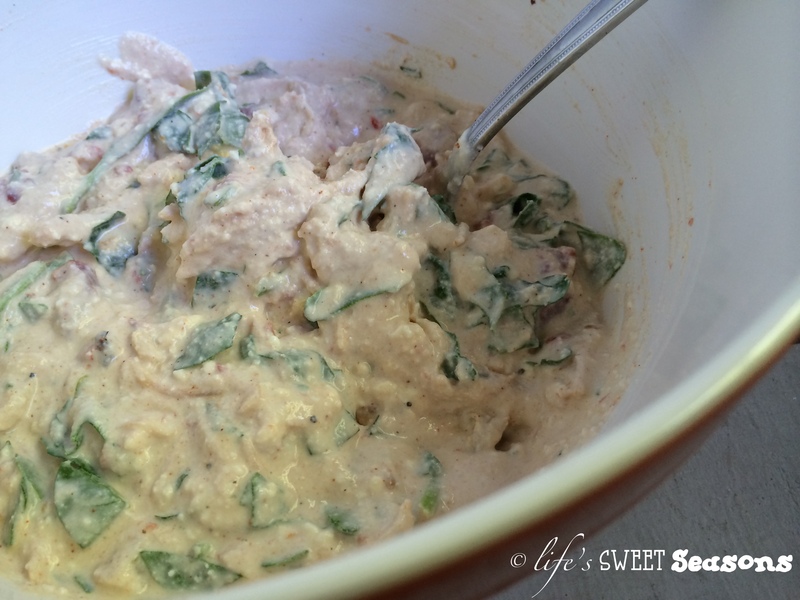 Using a fork stir together Ricotta cheese & cream cheese until well mixed. Add egg and mix thoroughly. Stir in spinach, roasted tomatoes, parmesan cheese, and chicken. Drain lasagna noodles and rinse with cold water. Preheat oven to 350 degrees F.
Turn heat off for the sauce, add lemon juice & stir. 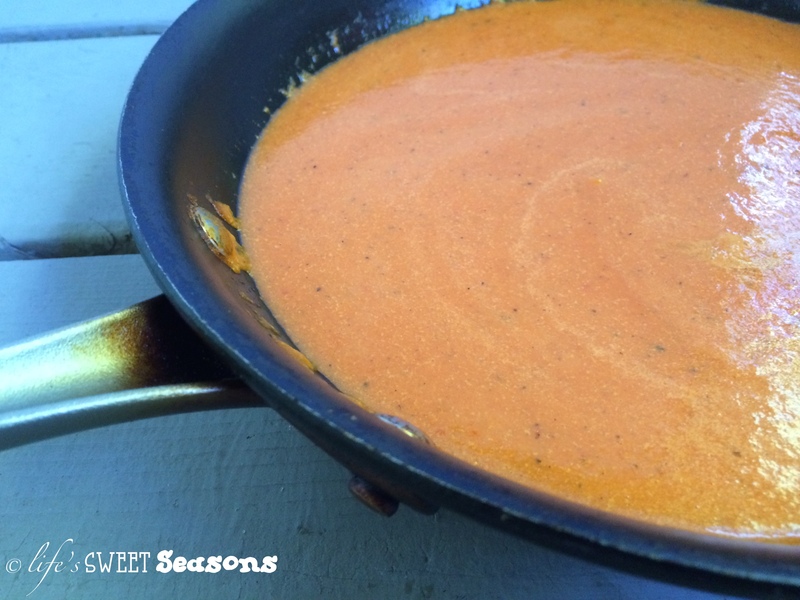 Add 1/2 cup roasted red pepper sauce to the bottom of a 9X13 baking dish. 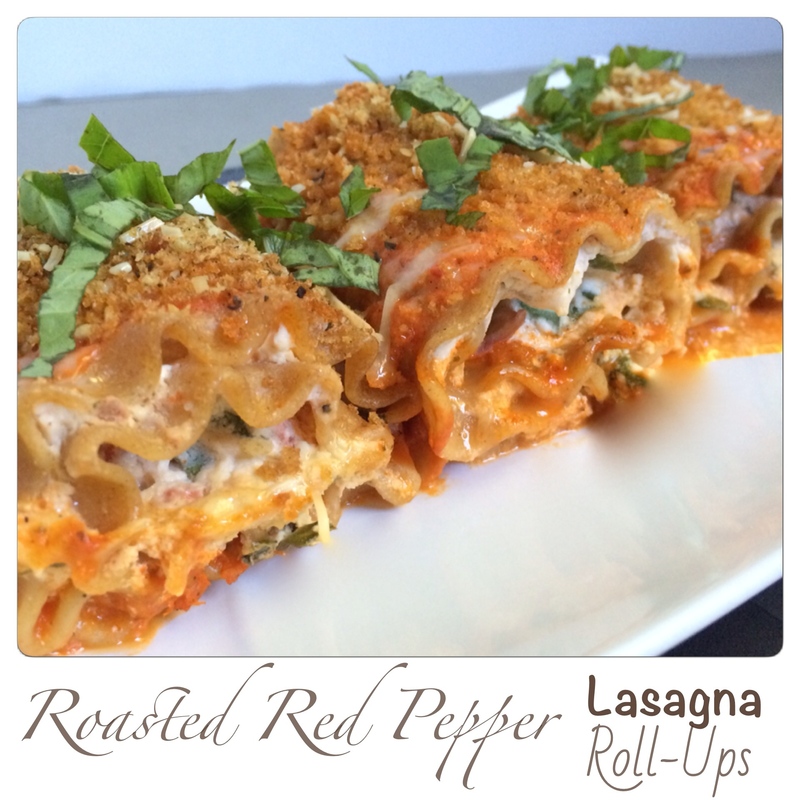 Assemble lasagna roll-ups by spooning filling onto the full length of each noodle. Roll the noodle so that it forms a pinwheel and then put it end side down into the baking dish. 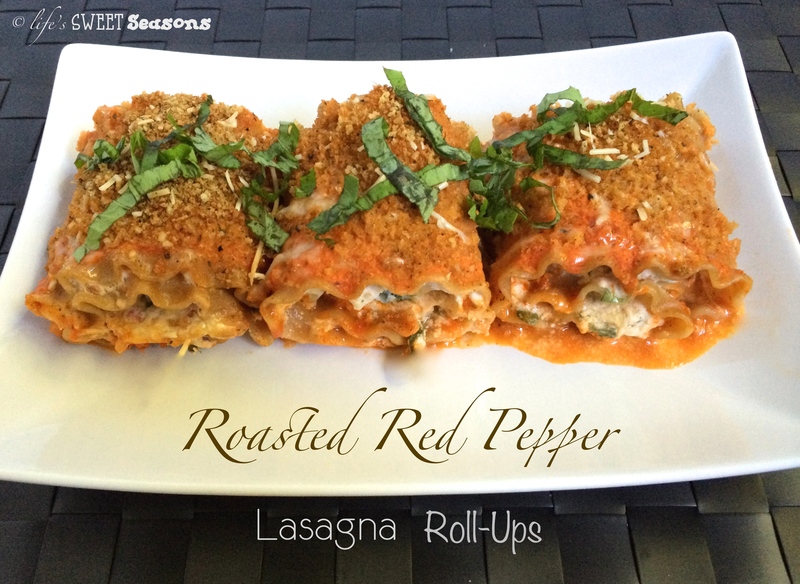 Your dish should hold 12 lasagna roll-ups. Top roll-ups with the rest of the sauce. Sprinkle Italian panko crumbs over each roll along with the parmesan cheese. Cover with foil and bake for 30 minutes. Remove the foil and bake an additional five minutes.